The Holly Jolly Tradition of ElfYourself.com is Back and Elfier than Ever! Popular holiday website ElfYourself.com celebrates its fifth year spreading holiday cheer around the world! Naperville, Ill., November 09, 2010 /PRNewswire/ — To kick-off the holiday season, OfficeMax® (NYSE: OMX), a leader in office products and services, announced today the return of its free holiday eGreeting site, ElfYourself.com, recognized as the most viral holiday website in history. Powered by JibJab.com, the leader in personalized online entertainment, ElfYourself.com will again delight millions of people around the world enabling them to create free personalized holiday eCards that transform themselves, family and friends into dancing elves. Users can share their holiday eCards via email or through social media such as Facebook, Twitter, blogs and more. New in 2010, ElfYourself.com features eight videos in all including two new dances titled 80s Dance Party Elves and Surfer Elves. Elf dances from past years including Elf Classic, Disco Elves, Country Elves, Hip-Hop Elves, Singing Elves and Charleston Elves will also be available. For the first time ever, users will be able to purchase their eight dances on a personalized DVD from the ElfYourself Store along with favorite gift items including playing cards, puzzles, ornaments, coffee mugs and greeting cards that can be customized with users’ ElfYourself photos. Bringing the holiday website to life, OfficeMax will also feature an ElfYourself-themed float in Macy’s Thanksgiving Day Parade on November 25 where elves will perform the dances from the holiday website live for the entire nation. In addition, the elves from ElfYourself.com will make an appearance at the New York Stock Exchange (NYSE) where they will march through the trading floor and help ring the closing bell on November 23 to “ring in” the holiday shopping season at OfficeMax. ElfYourself fans can also engage in a selection of holiday-themed games on OfficeMax’s Facebook page to earn points for OfficeMax rewards. Since its debut in November 2006, ElfYourself’s dancing elves have flooded the world with holiday cheer. Its users have created more than 416 million customized elves, and ElfYourself.com has attracted more than 378 million visits from across the globe during the past four holiday seasons. It’s time to join the fun again and get in the holiday spirit by creating an ElfYourself eCard at ElfYourself.com. JibJab makes things that make people laugh. From offbeat Sendables® eCards to personalized Starring You!® videos and satirical viral videos, JibJab is on a mission to help more people share more laughs than any other company in the history of the world. With over 100 million visits to its websites in the past twelve months the company is well on its way to doing it. 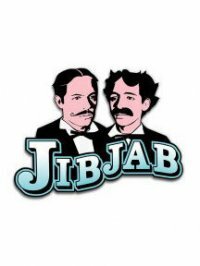 For more information, please visit JibJab.com/about.